Feyre survived Amarantha's clutches to return to the Spring Court – but at a steep cost. Though she now has the powers of the High Fae, her heart remains human, and it can't forget the terrible deeds she performed to save Tamlin's people.Nor has Feyre forgotten her bargain with Rhysand, High Lord of the feared Night Court. As Feyre navigates its dark web of politics, passion, and dazzling power, a greater evil looms – and she might be key to stopping it. But only if she can harness her harrowing gifts, heal her fractured soul, and decide how she wishes to shape her future – and the future of a world cleaved in two. It has been a long time since I've loved a book as much this. 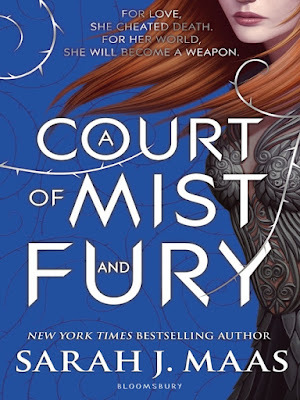 A court of mist and fury is by far the best book that I have read in 2016 so far, and easy surpassed it's predecessor a court of thorn and roses. The plot of this was so incredibly perfect - it was no secret that this was going to be based of the classic tale of hades and persephone but I was not expecting what this novel gave me - and in a good way. Whilst still retaining the classic elements of the grecian tale, it fused it with twists and turns that you were honestly not expecting. Maas mastered making you believe one thing whilst, in fact, the complete opposite was happening, thus making this a riveting read that I found I genuinely could't put down, even when my studies were calling to me. Furthermore getting to explore the Night Court was something I had been looking forwards to since I read book 1, and Maas did not disappoint, creating a rich and deep world which was all too easy to get lost in. Paired with her whimsical and descriptive writing, that seems ever improving with every novel, I found myself becoming one with the story and has made A court of mist and fury linger in my thoughts, even now after I have finished the novel. 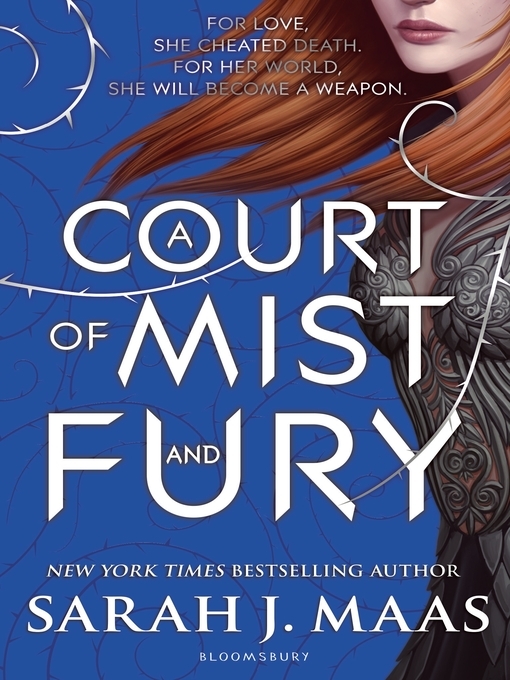 As mentioned above Maas's writing improves with every novel that she writes, and a court of mist and fury was no exception to the trend. Part of what I loved about a court of thorns and roses was the rich and descriptive style, the way visuals, world and characters were built up around me and Maas took that to a new level with this book. Taking what could have been an incredibly dark landscape and episode of the series and pairing her descriptive prose with witty and 'banterous' dialogue, Maas succeeded in finding a balance that made the novel not too heavy, not too airy and all the more enjoyable. In fact it was the world building in this novel, that I felt, really showed the excellence and skill of Maas. Using her immersive and detailed language she managed to construct a night court that both gave the atmosphere and visuals she intended whilst still allowing the reader to interpret the court in their own way, building on their prejudged image from book 1, thus making the night court more magical and real for themselves. Character development... lets just say that Maas, in my eyes, is now the queen of character development. Having hinted at this at the end of book 1, she took everything we thought we knew and felt about these characters and turned it on their head. The people we loved, we now hate, a new perspective and situation exposing their aggressive and harsh qualities. The people we thought not trust Maas makes us understand and begin to love. She has such a way of weaving context and history of the characters into the enthralling storyline that you don't even notice the shift until Feyre is in a situation that you find yourself rooting for the once bad guy. Feyre, herself, was also someone who I enjoyed the character progression on. For someone who had struggled to accept the fae world and ended up with a major life change at the end of book 1, I felt Maas guided her to really come into her own in this book. She embraced who she was and channeled that into becoming a stronger and more independent characters who was all the more pleasant to read than the meek and reliant Feyre of a court of thorns and roses. This book was an absolute gem. Maas has somehow managed to make this even better than the initial novel in the series and yet still leave me craving more. From page one I was clawed into the night court, gripped by Feyre and Rhysand's story and the tensions arising amounts the characters. A court of mist and fury really is as magical as it sounds and a book you will struggle to forget.